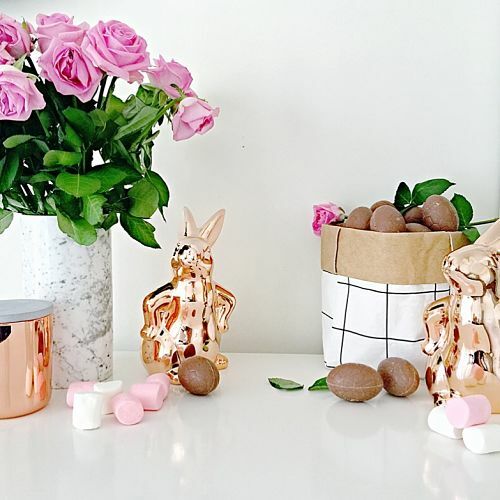 Oh my, we cannot believe Easter is this weekend!! 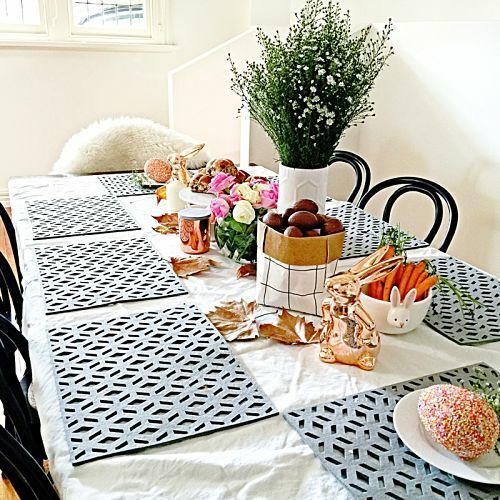 If like us, you’ve done nothing to plan for Easter and you’re kissing the idea of DIYs good bye, don’t dismay because you can create a stylish and personalised table setting using pre-made Easter decor. 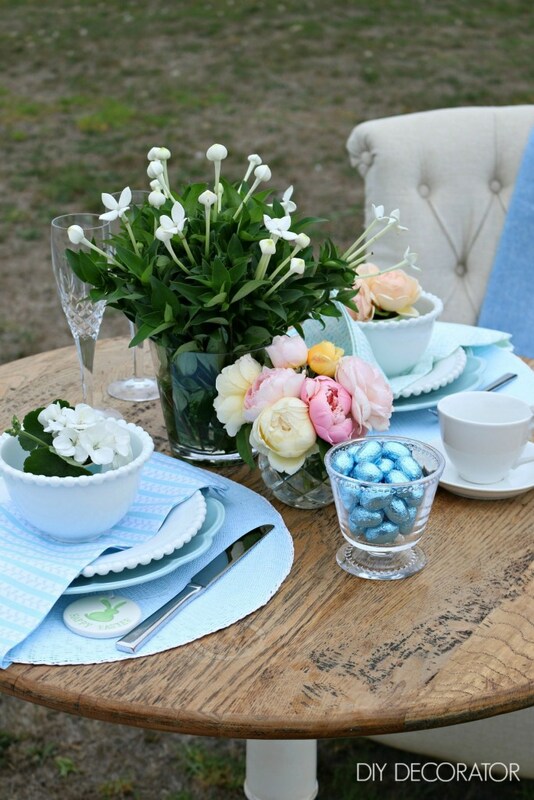 Here are 5 fabulous Easter table setting ideas we love! 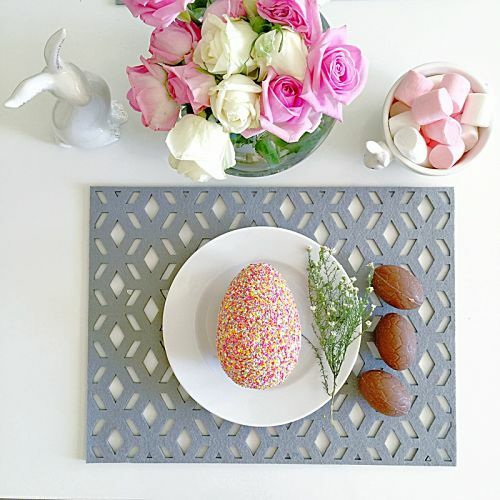 The talented Cassandra at Coco + Kelly has come up with a fresh marble and floral Easter theme that’s sooooo stylish! 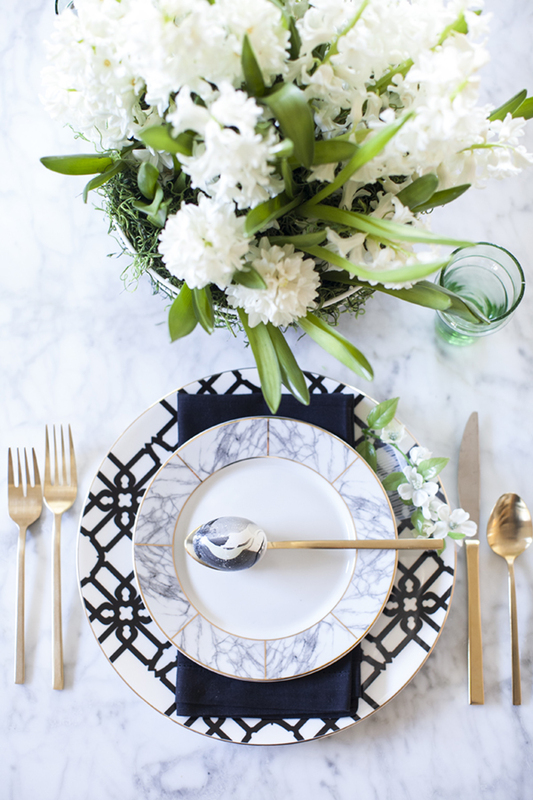 Recreate the look by mixing and matching your marble tableware, sprinkle some black and white confetti and add a statement floral centrepiece. Cassandra has published a tutorial on her blog showing how you can create this modern centrepiece in a wire basket lined with moss. 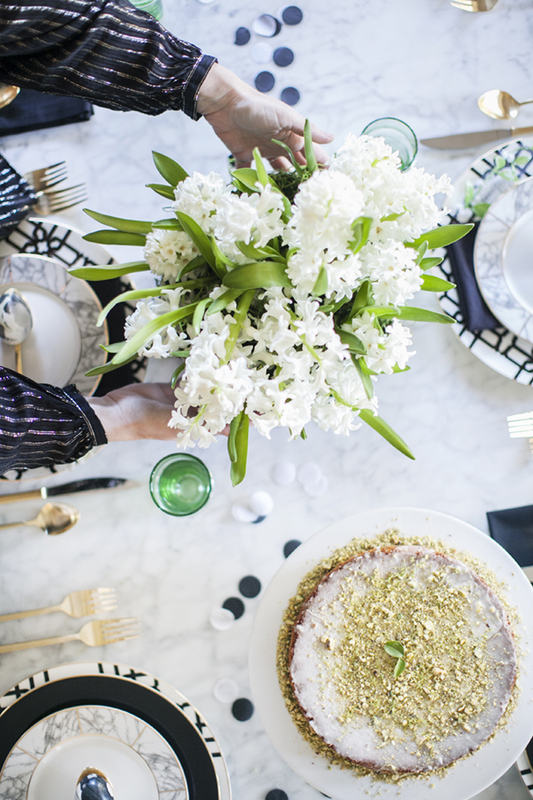 Knowing us, a black and white table setting had to feature in this post! And what’s even hotter than a black and white setting? A black, white and bling one, of course!! 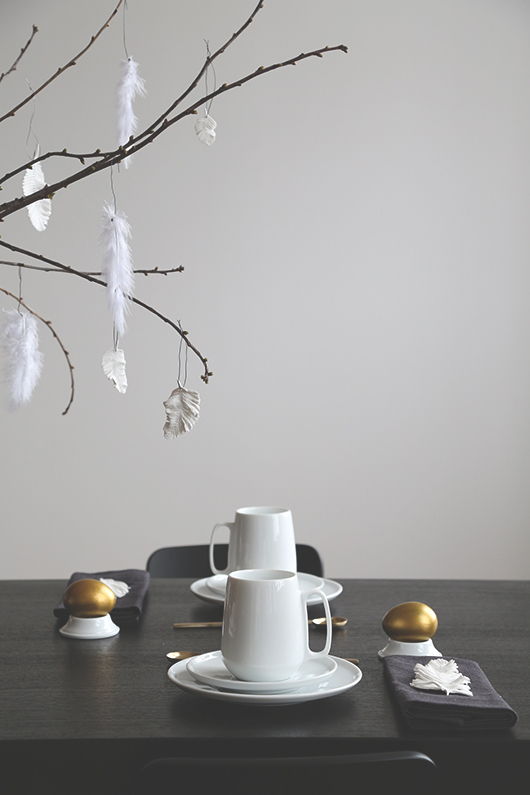 Created by Frida at Trendeneser, she used clay and hobby paint to make the simple yet effective accessories on this table setting. You can always count on Yvette at The Stylist Splash to bring some colour and fun to styling! 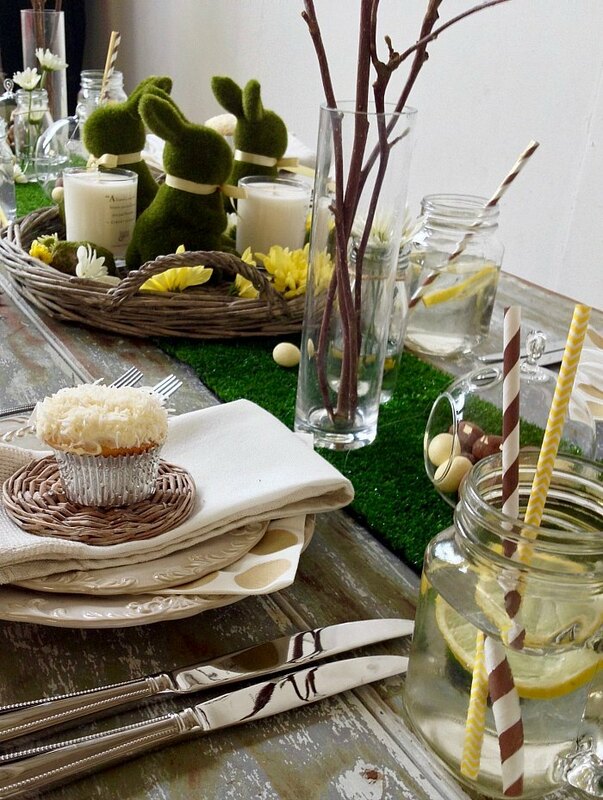 Her blingy table setting incorporates edible items like sprinkle Easter eggs so your guests can help with the clean up! 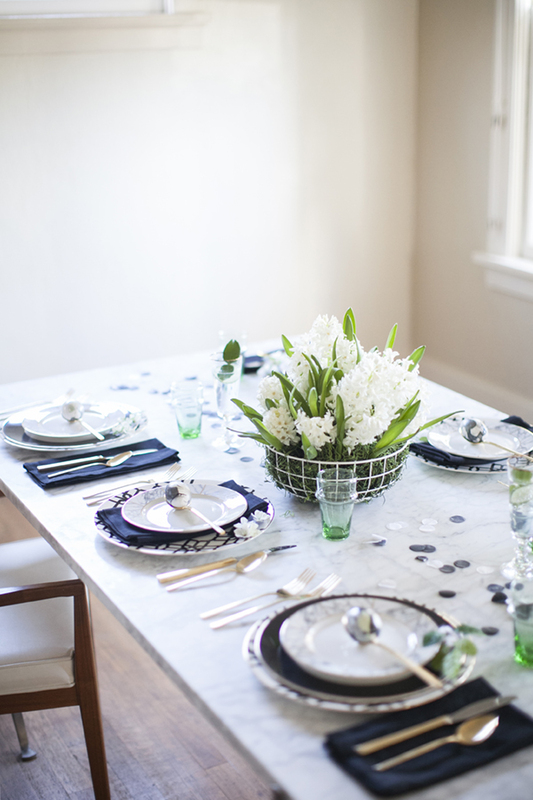 Oh, and did we mention all these items are from Target so recreating this look won’t break the bank! 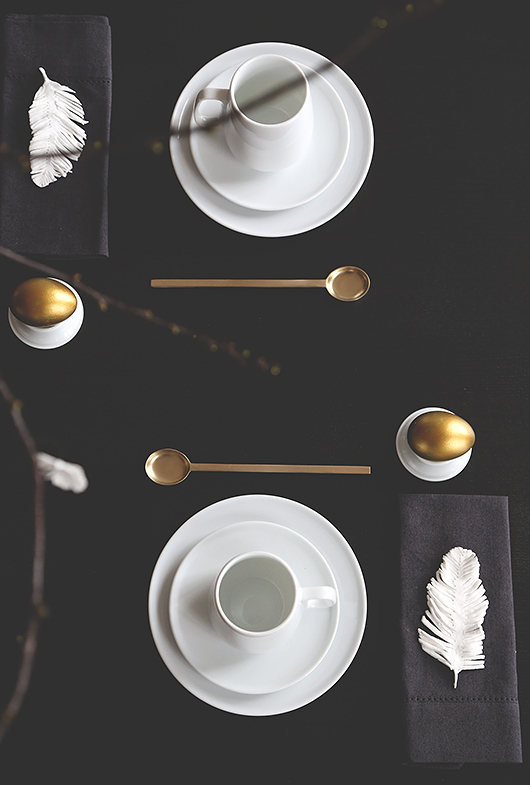 This timeless table setting was styled by Chris over at The Life Creative. Using a base of natural materials and colours, he added yellow and green accents to lift the look. 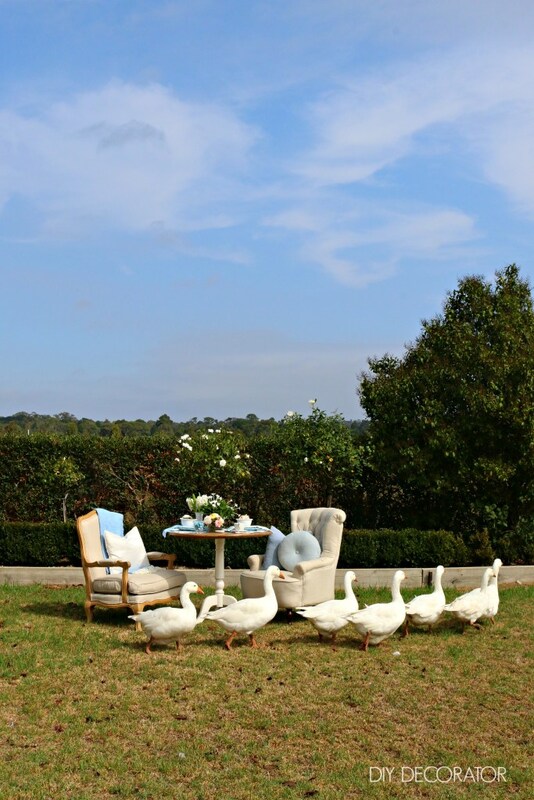 For an oh-so-sweet Easter table setting, you can’t look past DIY Decorator’s country-meets-garden-party theme — even her geese love it! 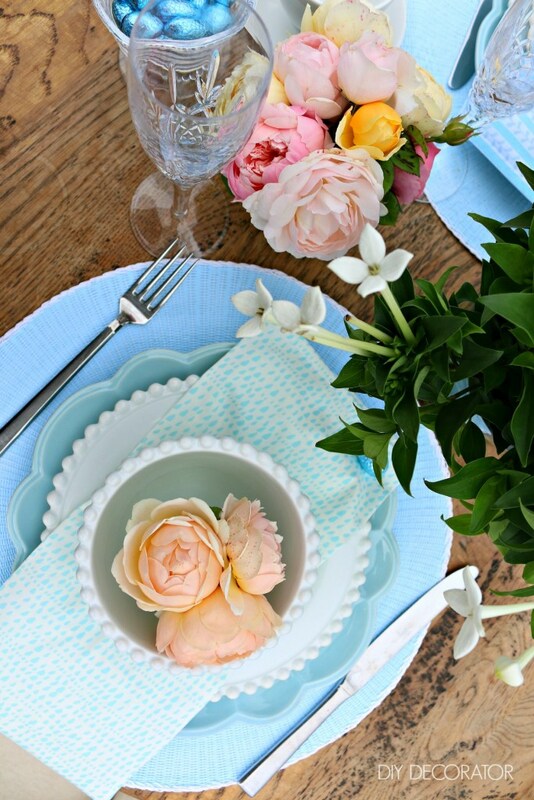 Using a a mix of florals and a blue colour palette, Sam shows how to mix and match tableware and layer items to create a fabulous table setting. 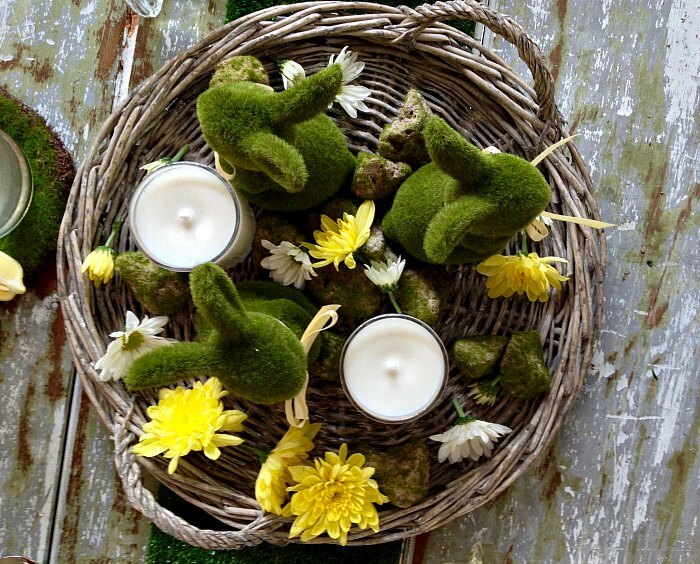 Will you be decorating your table this Easter? 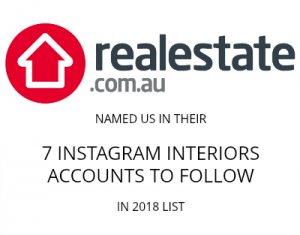 We’d love to know what theme you’re going with — tell us in the comments below!